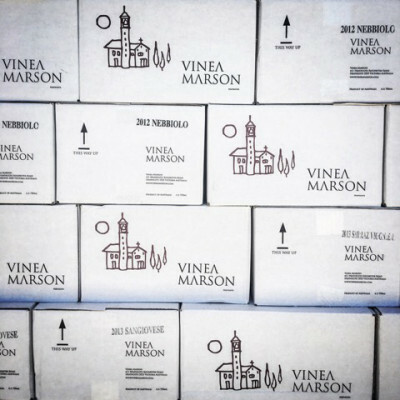 This Saturday we go (almost) Full Italian with another great friend of the WINE STORE | WINE BAR in Mario Marson of Vinea Marson. Vinea Marson is a small, family owned and operated winery in the heart of Heathcote in Central Victoria. Mario’s inspiration stems from his Italian heritage – where his grandfather made Friulano, Cabernet and Merlot and his great-grandfather was chief winemaker for the local padrone. Mario’s father, Giuseppe, planted rows of vines in their Melbourne backyard to bring Italian wine to the dinner table each night. Making wine and serving it with plentiful Italian food was a Marson way of life. Since 2000 Mario has used his deft hands to create some of Australia’s best examples of Nebbiolo, Sangiovese and Prosecco, and it will once again be our pleasure to have Mario in the store this Saturday, September 15th from 3-6ish for him to show you all his wonderful wines.